**SALE - 35% OFF** In the case of this blade, the Dotec mesh lies directly under the Limba covering ply. The middle layer consists of Limba ply. The core is made out of 4,5 mm Dotec-Balsa. 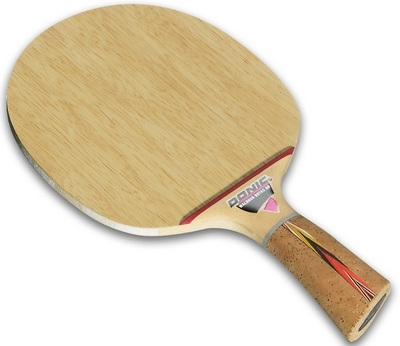 Playing Characteristics: The Limba / Balsa combination produced by the DONIC Dotec Technology, results in a perfect, relatively speedy, all round blade. The touch is amazing when returning the ball. One cannot experience better control inside the DONIC Dotec range! Available in Right or Left handed grips. The innovative DOTEC RANGE handle is slightly curved in such a way to suit the grip of either a left handed or right handed player.